If your a bit of an obsessive when it comes to delays, let me introduce you to to Sinevibes’ Stream, a new delay sequencer for Mac users. The new plugin offers near endless tweak-ability with its 32 individual delay taps and is the perfect tool for producers who want to be able to customise their delays down to the finest and most minute detail. Sinevibes Stream is a sequencer for the most finicky of sound designers, offering near endless customisation of delay sounds. Stream offers such extensive customisation of each parameter that it allows producers to create anything from crisp and precise delay sounds to chaotic panning reflections. Each tap has its own filter (low or high pass) as well as level and pan parameters. 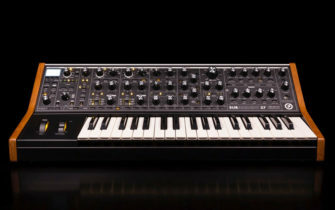 The sequencer even offers an LFO for time modulation, with the option for even-odd polarity inversion and stereo phase offsetting. Feedback can be tweaked on a ‘per-tap’ or ‘per round’ basis and you can even choose between modern and vintage interpolation for two distinct voicings. There’s also the option to speed up or slow down the delay sequencer four times. 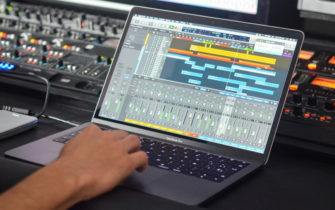 “With such immense configurability, Stream can create a whole symphony of reflections – from organically chaotic to precisely rhythmic – and anything in between. It’s a delay that looks like a sequencer and a sequencer that works like a delay,” states Sinevibes. For more information head on over to Sinevibes website.